Almost since the origins of agriculture, farmers have sought to improve the efficiency and resilience of their crops. In years with less rain, or in areas with poor soil quality, a resilient seed and plant could make the difference between a decent harvest and a non-existent one. For thousands of years, farmers would combine the best performing crops they had in an effort to improve durability and taste. When successful, this process of selective breeding would mean less years of famine and it slowly started to change the genetic makeup of different crops being produced. In fact, certain foods we enjoy today have their origins in genetic modification by way of selective breeding. Sweet potatoes, for one, are an 8,000 year old human creation as a result of planting the tumors from regular potatoes. This version of selective breeding is what has gone on for most of human’s agricultural history and was responsible for the massive boosts in food production throughout developing nations in the Green Revolution of the 1960’s. It’s this underlying philosophy of manually selecting for productive traits in crops and propagating them that then began to inform the movement toward agriculture using genetically modified organisms (commonly referred to as GMOs). While on the surface these practices are the next step in advancing agriculture, they do represent more of an artificial interference. Genetically modified crops, in the way we think of them today, were first brought to market in 1994 when a company, Calagne, started sales of its ‘Flavr Savr’ tomato. By splicing the gene sequence of tomatoes in a lab they were able to produce seeds that would grow tomatoes with a delayed ripening process, making them able to be eaten – and sold – for longer due to their extended shelf life. Though the Flavr Savr tomato wasn’t much of a success, the technology was then brought to bear on some of the more profitable cash crops – soybeans, corn, cotton, rice, etc. This added durability, however, does come with some disadvantages.As the search for more and more effective crops has continued, there has been an associated trend toward less and less natural biodiversity. A lack in natural biodiversity can be problematic for the long-term viability of the crops and the corresponding health of associated animal biodiversity in the surrounding area. Large scale sun-coffee has a well documented effect of negatively impacting jungles and the animals that rely on them, showing the importance of a holistic approach to biodiversity. 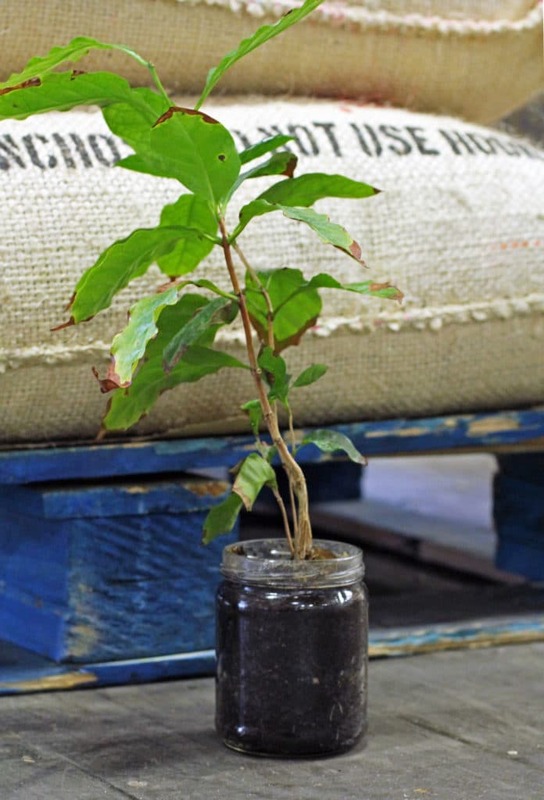 Historically coffee has not been subjected to outright genetic modification in the way other cash crops have been. With a wide range of coffee types existing naturally, and more holistic options being available, coffee is. With climate change starting to affect the regions and altitudes at which coffee can be grown, and with coffee rust threatening more and more farmers each year, the temptation does exist to meddle with nature in an attempt to find efficient solutions. However, coffee has a built in advantage over other cash crops due to its inherent pre-existing diversity. Coffee Robusta, for example, is naturally disease resistant and not susceptible to coffee rust in the way that Coffee Arabica is. 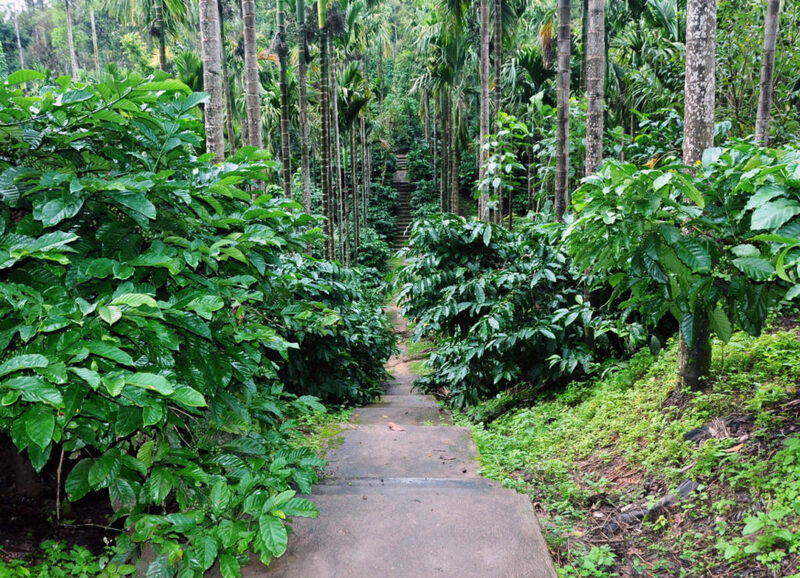 The Robusta plants also better able to grow at a range of elevations, opening them up to more growing regions. And farmers have already found ways of combining the preferred flavor of the Arabica varieties with the disease resistance traits of Robustas for decades with hybrid strains like Timor and others. We at Café Altura believe that the future of coffee production lies in relying on natural biodiversity and holistic breeding and it’s why we stand with others working for a GMO-free future for coffee. It’s going to be critical for the future of the crop if we wish to stave off the risks of disease, respect the role played by farmers throughout the world, prepare for the difficulties presented by climate change and not compromise on our values. Nature has given us plenty of tools to take on the challenges posed by climate change and disease without resorting to GMOs. By supporting biodiversity – promoting practices – both for the kinds of coffee we use and the environments they grow in – we are hoping to do our part in helping create an industry that seeks natural and holistic answers and respects the role it plays in larger ecosystems.